January 2019: OPPO R9s Plus, A77, and A3. The Hyper Boost technology is a system-level optimization tool which was developed by OPPO. Its major function is to optimize the performance of the smartphone and the app startup speed can be increased by 31.91%. Before the company came up with the final version of this tech, analyzed 5000+ application software, establishes a system-level dynamic acceleration algorithm, makes Hyper Boost become a performance scheduling expert, understands the needs of each APP, allocates them reasonably, and reduces the troubles caused by the waste of system resources. 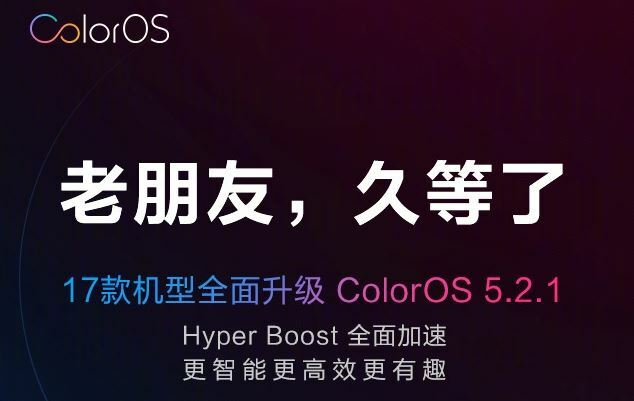 In addition, OPPO Hyper Boost technology is optimized for 2 mobile platforms, 3 major game engines, and more than 10 popular games. It has added polymorphic network acceleration technology to solve the problem that users do not have network status when playing games in an extremely weak Wi-Fi environment.